When my son Grant was diagnosed with Juvenile Arthritis, it was overwhelming. I wanted more than anything for the doctors to be wrong… to wake up to find it was all a bad dream. But, it was real, and it still is. After the initial shock, I began to seek out as much information as I could, but I came up generally dissatisfied. Sure, there was plenty of medical information out there, but I needed a source that could help me read between the lines, a friend who had already “been there, done that,” and knew the shortcuts. I needed the real scoop. I needed a parent guide. When I couldn’t find one, I wrote it. 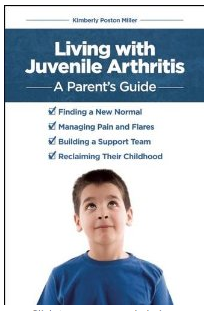 In September, Living With Juvenile Arthritis:A Parent’s Guide will be ready to go. I hope that it can provide you and your family the information we wished we had as we muddled our way through those first few challenging years.